I thought that this latest "Scooby-Doo" movie was pretty enjoyable. 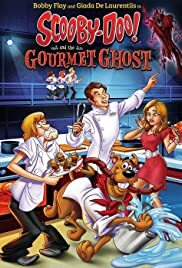 As far as "Scooby" films that feature celebrities go, I thought that this was probably the best one the franchise has done yet. Whereas the two WWE crossovers mostly felt like wrestling commercials, this one feels much more like a real movie, even if it has its flaws. I may be a bit biased here, since I am a huge fan of The Food Network. Getting to see Bobby Flay and Giada de Laurentiis be a part of the adventure and working with the gang was pretty fun, and we got some decent humor out of them. I liked the idea of Fred being Bobby's nephew. The storyline was fairly interesting with some good fictional lore thrown in there. The film is really well-animated and the atmosphere is pretty nice. I also enjoyed seeing a lot of tasty looking food on screen. As for negatives, I wouldn't say that all of the jokes hit. The "shhhh" gag that ran throughout the movie, in particular, was beaten into the ground. 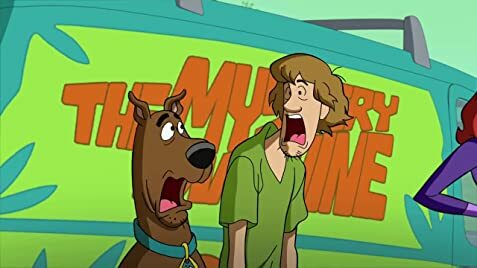 I found Shaggy and Scooby rather annoying in this one (as to be expected from "Scooby-Doo" movies these days), and the film kind of dragged in some places. All in all, I mostly enjoyed this one. It's far from the best movie in the "Scooby-Doo" franchise, but it's also pretty far from the worst. Recommended to fans of the franchise and fans of The Food Network.